OK, yes, this second round of the playoffs was bad, in an epic way. No doubt. How bad? We’ll talk about that, for sure. But that doesn’t mean there isn’t anything we can learn from this week’s postseason games, because we definitely got a better look at some teams, even if there are a couple of teams advancing that haven’t yet been playoff tested. 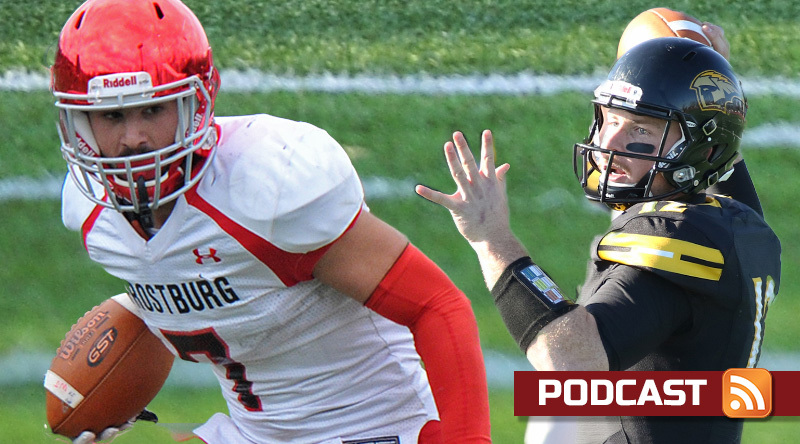 Pat and Keith hand out game balls, look at each second-round game, and look at the upcoming quarterfinal matchups in this week’s D3football.com Around the Nation Podcast. This entry was posted in Around the Nation and tagged Berry, Brockport, Case Western Reserve, Delaware Valley, Frostburg State, Husson, Linfield, Mary Hardin-Baylor, Mount Union, North Central, St. Thomas, Trine, UW-Oshkosh, Wartburg, Washington & Jefferson, Wesley. Bookmark the permalink.